Condition: Wear & corrosion in field, commensurate with high age. 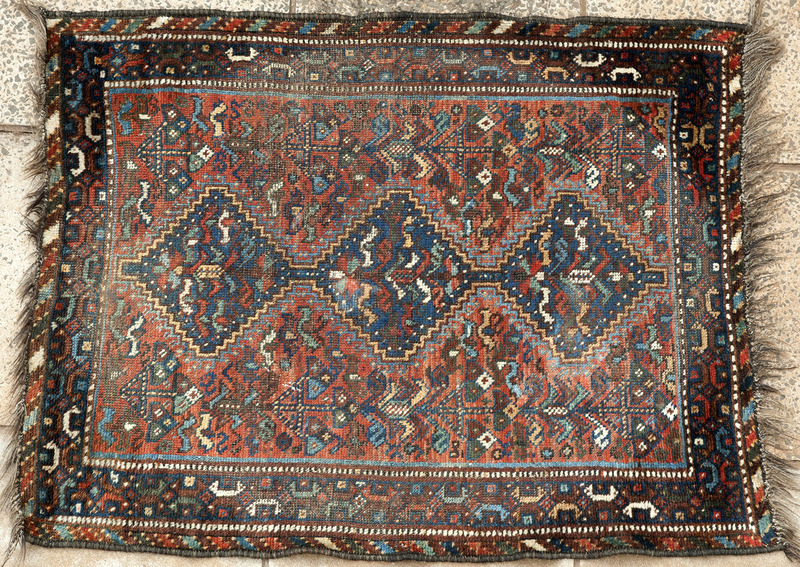 Notes: A lovely, if warn, antique tribal Kamseh Confederacy murghi or 'chicken' rug from southern Persian. It is 100% tribal and uses only natural dyes. This would look excellent handing on a wall, or indeed on a small table (under glass? ), and represents great value.